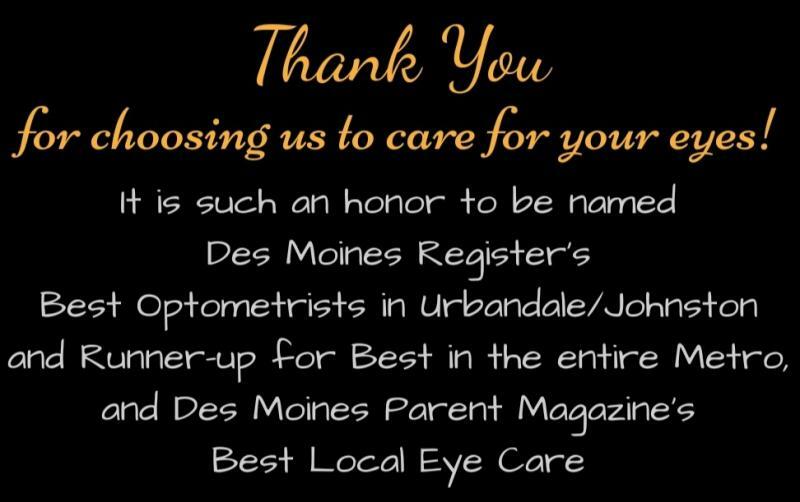 Urbandale Eye Care is committed to providing you and your family with personalized and thorough eye care. We hope you will make our office your home for all of your eye care needs. 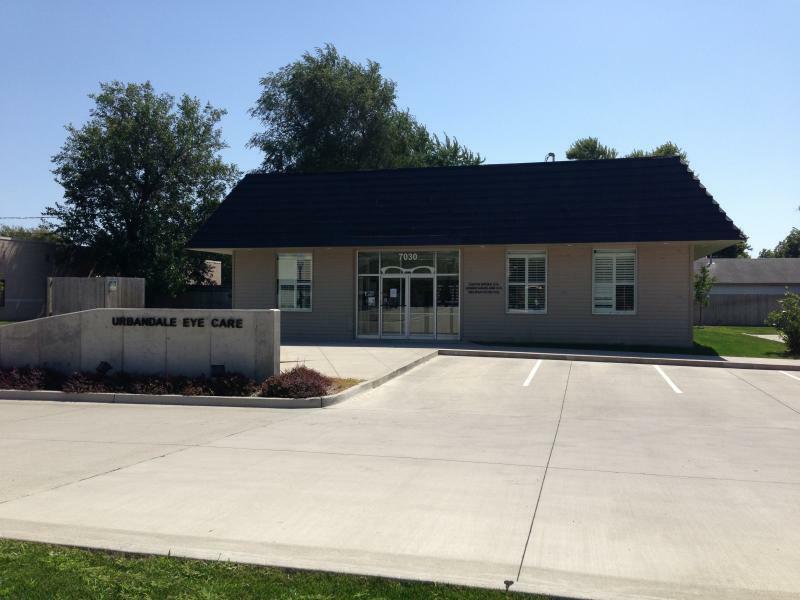 Urbandale Eye Care has been providing exceptional eye care to central Iowans for almost 35 years. 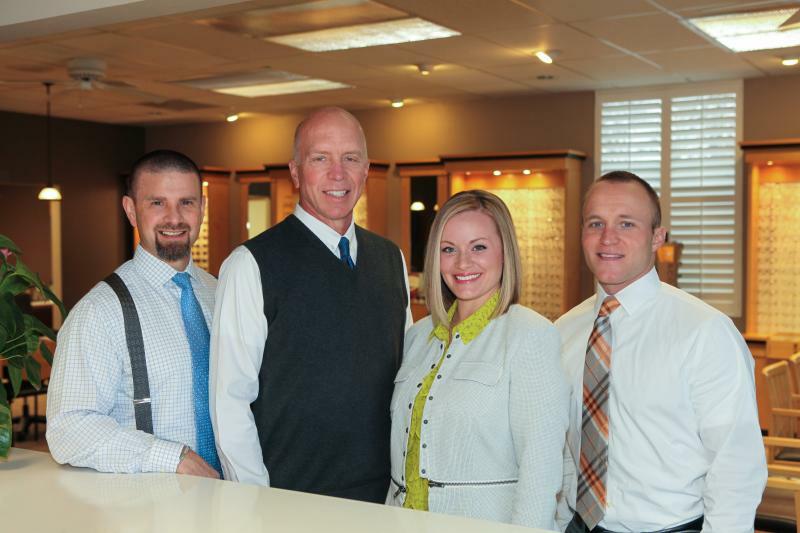 We were originally known as Urbandale Optical, but we are the same business, with the same ownership, that has been part of the Urbandale community for years. Our doctors have nearly 75 combined years of caring for patients at our office, and our opticians have 45! We know how important and unique each patient’s vision is, and we provide you with personalized care from when you check in, through your examination and selection of eyewear, to when you check out. Our caring Doctors of Optometry provide thorough eye examinations for patients of all ages. We are committed to exceeding your expectations for eye care and informing you about the latest advancements in the field of optometry. We invest in advanced technology in eye care in order to manage eye disease at the highest level possible. It is important to us to get to know you and your visual needs, and it is an honor to care for your eyes. Click HERE for a list of insurances we accept. Unfortunately, we are NOT PROVIDERS OF AVESIS.